The Thrifty range has been designed to provide functional quality at an affordable price! 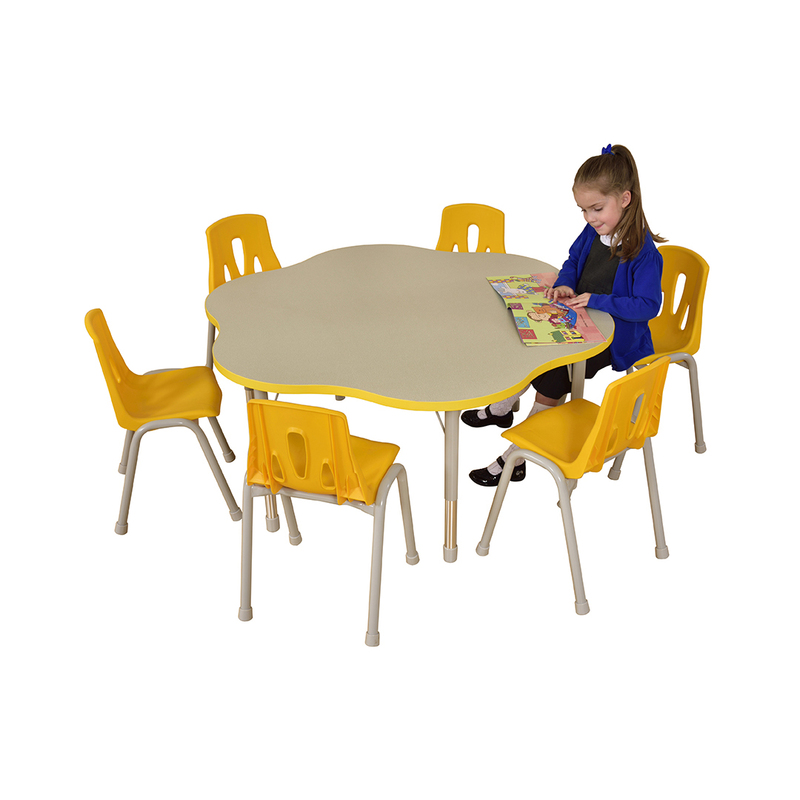 Colourful and durable, it is a great range of tables, chairs and storage units for your classroom. 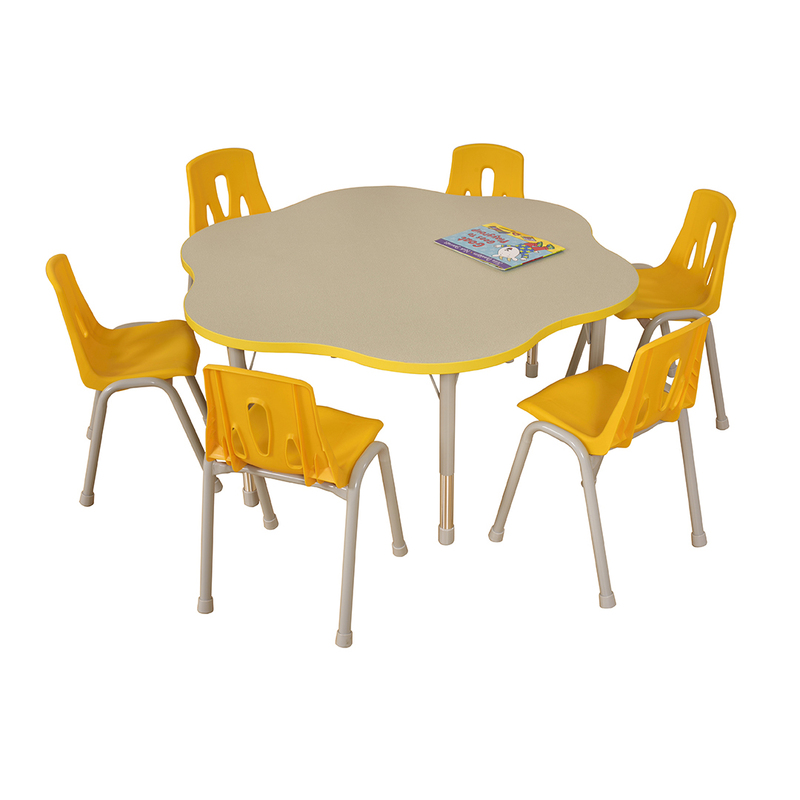 Available in 3 colours (red, blue & yellow) and 4 shapes, these robust and functional tables, with height adjustable legs (370-620mm – adjustable every 25mm) make them a great value choice for your classroom. Delivered flat packed for easy assembly.